Rugby Singapore has announced a new ticket offer for the HSBC Singapore Rugby Sevens 2018 for sports fans who like to live through the tense moments, celebrate the joy of winning, and share the anguish of disappointment with their mates. The special promotion, which offers discounts of between 15 to 21%1 when purchasing packs of FOUR adult tickets, is valid until 29th April, the second and final day of the 2018 tournament. HSBC card holders can enjoy an additional 5% discount on top of this offer. Fans looking to buy Category 1 and 2 Adult tickets can look forward to a saving of SGD1352 and SGD48.52 respectively with an HSBC card. Taking place on 28-29 April at the state-of-the-art Singapore National Stadium, the third edition of the spectacular sporting carnival will return with an enhanced music, F&B, and entertainment offering to complement the world-class fast-and-furious rugby action on the pitch. Considering to make a holiday of it? 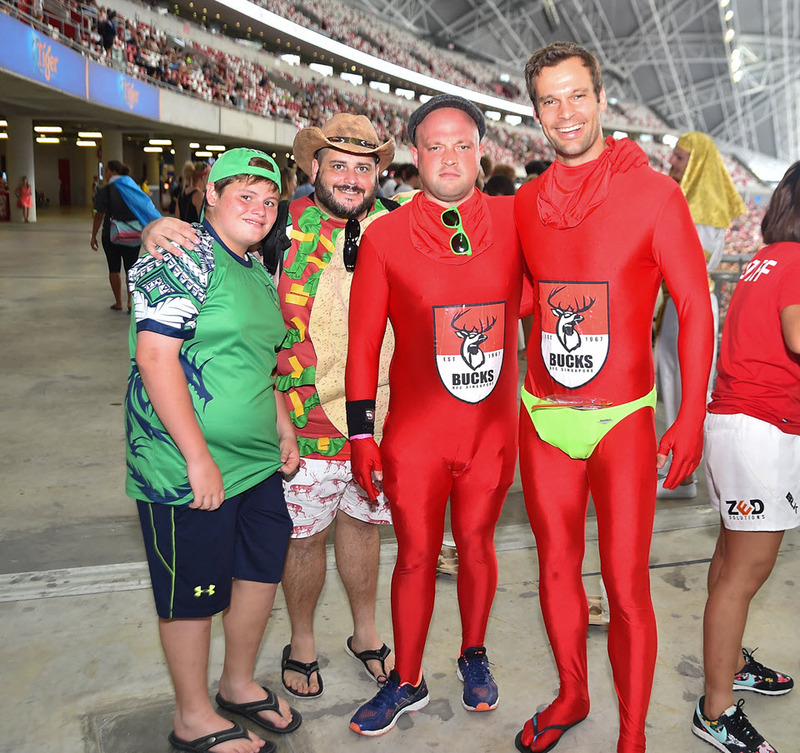 Start planning a long weekend getaway with your loved ones by visiting http://www.singapore7s.sg/home/overseas-packages/ to learn about travel packages to the Singapore Sevens. The Singapore Sevens was 2016’s International Sports Event of the Year at the Singapore Sports Awards. Kenya were surprise first-time winners of the HSBC Singapore Rugby Sevens in 2016. The 2017 final was an all-North American affair as Canada beat the United States 26-19 in a pulsating final. Rugby Singapore is the commercial arm of the Singapore Rugby Union (SRU). In a first for a National Sports Association, Rugby Singapore was created in 2015 to act as the special purpose vehicle to handle commercial matters and events for the SRU.